Understand Django best practices for architecting a web site that will eventually be put into production. Leverage Django templates to maintain a consistent look and feel across your site. Learn search engine optimization best practices with search engine–friendly URLs, metatags, and an auto-generated Google site map. Follow best practices for security so the bad guys don't get control of your site or compromise your data. Learn about developing and deploying your Python code on the Google App Engine. Construct an enterprise-level shopping cart application that can actually receive payments from Authorize.net and PayPal. This book is for programmers looking to learn how to quickly and effectively leverage the Django web framework to build lightweight, powerful web sites. 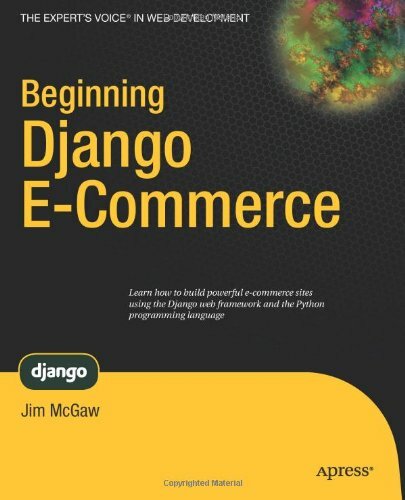 While the book is aimed at developers interested in creating e-commerce sites, the topics covered apply to any other site you might build with Django. You'll learn how to optimize your site for search engines, secure your pages to thwart hackers, and deploy your site into production–all with Django. Along the way, you'll build a fully functional e-commerce module that will have you up and selling stuff on the web in no time!